The Commonwealth Bank is facing another scandal as the Australian Transactions Reports and Analysis Centre (AUSTRAC) launches civil proceedings accusing the bank of being complicit in money laundering. This exposes a deeply worrying prospect, that the Australian public are vulnerable to crime and terrorism directly funded through the Australian banking system. AUSTRAC alleges CBA breached the Anti-Money Laundering and Counter-Terrorism Financing Act (2006) 53,700 times since 2012, where transactions were not reported by the bank, or reported too late. The bank faces a potential penalty of A$18 million per breach, which could amount to billions of dollars. According to AUSTRAC, criminals deposited cash, amounting to tens of millions of dollars, over a period of two years in intelligent deposit machines where it was automatically counted and credited instantly to the nominated recipient account. The funds were then available for immediate transfer to other accounts both domestically and internationally. In their evidence AUSTRAC details how four identified criminal syndicates were able to readily use CBA ATMs to breach the A$10,000 transaction threshold on 1640 occasions amounting to A$17.3 million. A total of A$625 million of suspicious transactions flowed through these CBA ATMs. CBA’s response to these serious allegations is that it reports 4 million transactions to AUSTRAC per year contributing to the effort to “combat any suspicious activity as quickly and efficiently as we can.” The bank insists all key personnel have been trained in compliance with the Money-Laundering Act. The CBA acknowledges there was a software fault with a number of their ATMs which allowed these transactions to take place, but apparently this took several years to fix. Unfortunately this response in the circumstances only provokes further questions. What this really shows up is the government’s “light touch” regulatory approach which translates into soft touch regulation. It seems regulators in Australia are too frightened to take action even when there is mounting evidence of illegality. [AUSTRAC’s] graduated approach does not seem to be adequate to ensure compliance. Since then AUSTRAC has taken action against Tabcorp on a money-laundering case which reached a A$45 million settlement in February 2017. This contrasts with far larger fines imposed on international banks for money laundering including a US$1.2 billion fine for HSBC and a US$262 million fine for Standard Chartered in 2012 from the US Justice Department. At a US Senate hearings in 2012, a HSBC chief compliance officer famously quit his post on the spot in answering money laundering allegations, implying he could not defend the indefensible. The Australian banking industry has faced minimal pressure to reform compared to other countries, where the restructuring of the banks is progressing. Australia has seen a succession of inquiries however each has focused on particular aspects of the banks functioning and proposed specific reforms. It will require a Royal Commission into the Australian banks to examine the structural and systemic failures of the banks. The banks have become the main providers of not only retail but investment banking, insurance, superannuation and financial advice, and this deserves critical scrutiny. If the AUSTRAC allegations against the CBA are proven in the Federal Court, this matter is of a different order of magnitude to earlier problems. It suggests a degree of irresponsibility which is unacceptable in major financial institutions. It also suggests it’s deeply embedded in the banks cultural and operating processes, which undermines the security of Australian citizens. This would demand a substantive inquiry into the management, integrity and culture of the banks that only a Royal Commission could provide. In the meantime, the CBA needs to provide firm evidence to the Australian public that none of its ATM machines can continue to be used for money laundering. It also needs to prove there are procedures in place for ensuring all suspicious banking activity by potential criminals or terrorists is fully reported to the Australian authorities as soon as the CBA has any knowledge of such activity. The Greens have lost their two co-deputy leaders, Scott Ludlam and Larissa Waters, in a matter of days. 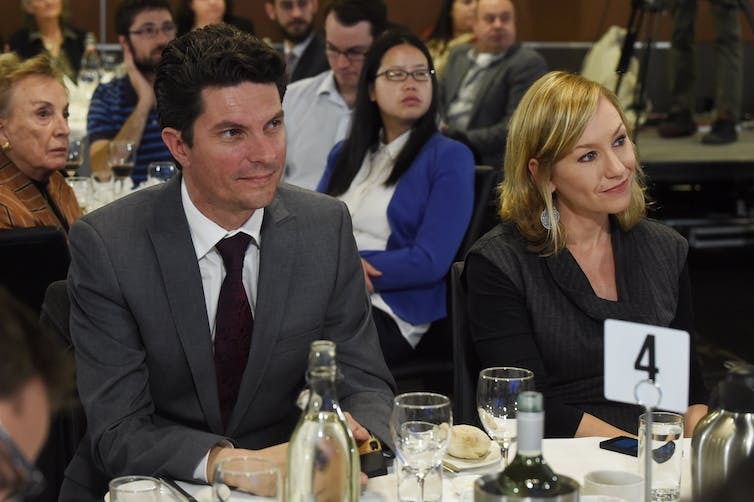 On Tuesday, the Greens’ Larissa Waters became the second senator in under a week to resign from parliament, after discovering she held dual citizenship and was therefore ineligible to hold her seat. Her Canadian citizenship revelation followed Greens co-deputy leader Scott Ludlam’s resignation, after he was found to hold New Zealand citizenship. It is expected that the Senate will refer both matters to the High Court, sitting in its capacity as the Court of Disputed Returns. The court will almost certainly find both senators ineligible based on their dual citizenship. 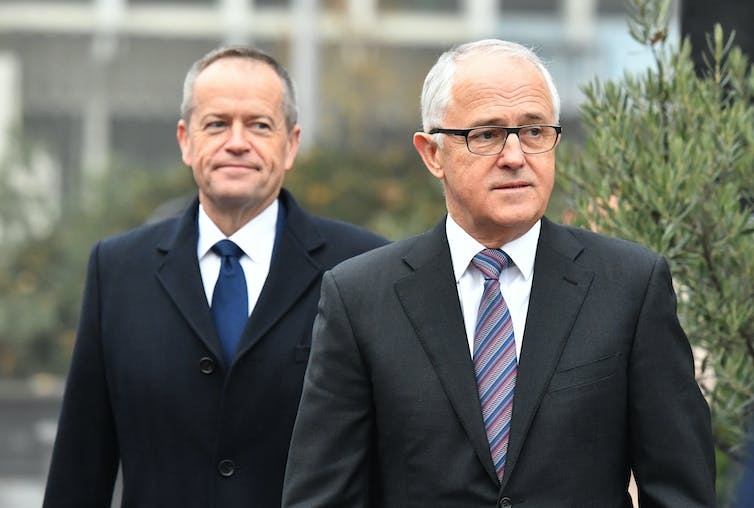 It will declare the resulting vacancies should be filled by a recount of the ballot papers from the 2016 federal election. … incapable of being chosen or of sitting as a senator or a member of the House of Representatives. … is under any acknowledgement of allegiance, obedience, or adherence to a foreign power, or is a subject or a citizen or entitled to the rights or privileges of a subject or citizen of a foreign power. Section 44(i) effectively means that dual citizens are not ordinarily eligible to be elected to parliament. 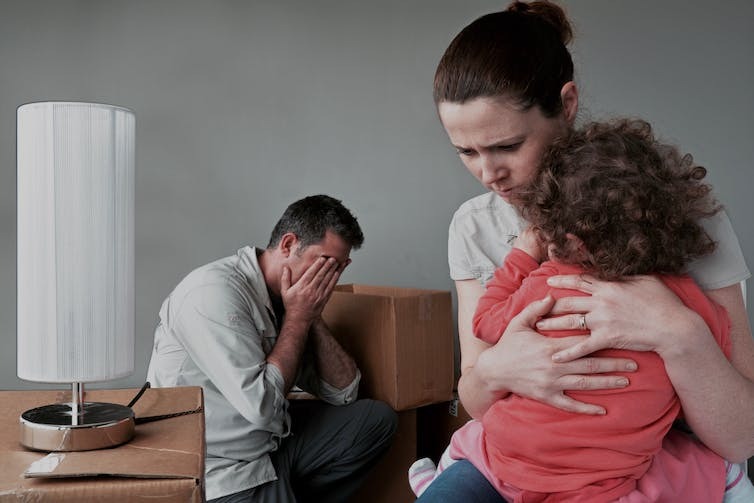 The High Court has previously held that becoming naturalised as an Australian citizen is not enough on its own to escape this disqualification. A person must also take “all reasonable steps” to renounce their foreign citizenship. Exactly what this requires will depend on the circumstances of each particular case and will, in particular, depend on the law of the relevant foreign country. In the case of both New Zealand and Canada the process is straightforward. Specific government websites provide clear advice on how to apply to renounce your citizenship. So, by failing to make a request for release from their foreign citizenship, neither Waters nor Ludlam took reasonable steps to satisfy the requirements of Section 44(i). Not only does Section 44(i) mean the two Greens senators are unable to remain in the parliament, but they were never actually eligible to be elected in the first place. Why are dual nationals ineligible? Section 44(i) was originally designed to ensure MPs had a clear and undivided loyalty to Australia, and would not be subject to any improper influence from foreign governments. This reflected the position in the UK. Those born outside “the Realm” were disqualified from holding office in the Privy Council or parliament. The history and context of this section is important. At the time of the first Australian parliament, nearly half of all members had been born overseas – and any person born in Australia was a British subject. The legal concept of Australian citizenship did not exist until 1949. Before 2002, any Australian citizen who became a citizen of another country automatically lost their Australian citizenship. Much has changed since Section 44(i) was first drafted. Should Section 44(i) be reformed? Several expert bodies and parliamentary committees have considered Section 44(i) over the years and recommended reform. The section has been criticised on several grounds, including its archaic language, unclear scope, and the sheer number of Australian citizens who are potentially disqualified under its terms. Of particular note, given the events of the past week, has been the criticism that many Australian citizens are likely to be unaware that they are actually dual citizens. This is not simply an academic concern. Several potential MPs have been ruled ineligible in the past on the basis of holding dual citizenship, including the two major party candidates in the 1992 Wills by-election and a One Nation Senator elected for Queensland at the 1998 federal election. And earlier this year the Court of Disputed Returns rejected a challenge to the eligibility of independent senator Lucy Gichuhi that was based around her previous Kenyan citizenship. Figures from the 2001 Census show approximately 3 million Australian citizens were born overseas. Among the 224 MPs who currently remain in parliament, 23 were born overseas. While not every Australian who is born overseas remains a dual citizen, these figures do highlight the significant number of people who are potentially impacted by Section 44(i). But reform can only be achieved through a constitutional referendum, which is itself a challenging exercise. There are arguments weighing against any change. The principles that underpin Section 44(i) are still of continued importance. There is no doubt that the integrity of parliament and the loyalty of MPs are vitally important. This issue has been highlighted only recently with claims about the influence of foreign donations in Australian politics. When considering changes to Section 44(i), the key is to strike the right balance between maximising participation by Australian citizens while also safeguarding the national interest. Given the events of the past week, now is an opportune time to engage in that conversation. Both the government and the opposition will warn about terrorists exploiting cyberspace. “As good corporate citizens and responsible members of democratic nations, I’m confident these tech companies will seek to do everything they can to assist the fight against terror. “We must always be mindful of the rule of the law and the proper protections of our citizens – but we must be equally focused on adapting to new mediums and new technologies to detect and prevent new threats,” Shorten says. The link below is to a great article concerning unwritten rules for all – maybe a few readers could pick up a much needed hint or two?